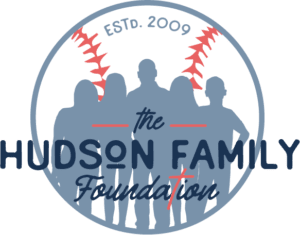 The Hudson Family Foundation Rookie Reader Program promotes literacy and encourages a love of reading from a young age. The Rookie Reader Program promotes literacy and encourages a love of reading from a young age. The Hudson Family Foundation provides books to children and youth throughout Alabama and Georgia, working closely with local schools, children’s shelters, community centers, and after-school programs to provide educational and fun reading materials to as many children as possible. We are excited to announce that several Book Boxes have recently been installed throughout Lee County, Alabama. Each Book Box has been strategically placed so that countless children may benefit. We encourage children to take books to read and then return them, share them, keep them…whatever they see fit. We urge citizens in the community to refill Book Boxes if you see that they may be in need of some books. Together, we can help spread the love of reading! If your organization is interested in applying for a book donation, or if you know of an organization that would benefit from a book donation, please contact us at info@hudsonfamilyfoundation.com. We are always happy to accept donations of new or gently used children’s books. If you are interested in making a donation to the Rookie Reader Program, please contact us at info@hudsonfamilyfoundation.com. If you visit a book box and it is full, please call or email us and we will gladly pick up the books to restock and trade out as needed.